Juice Plus+ LIVE! is three days of learning, inspiration and bonding that will help you feel empowered and encouraged on your journey with Juice Plus+. Our bi-annual conferences promise an opportunity to bond with other healthy-minded people just like you! 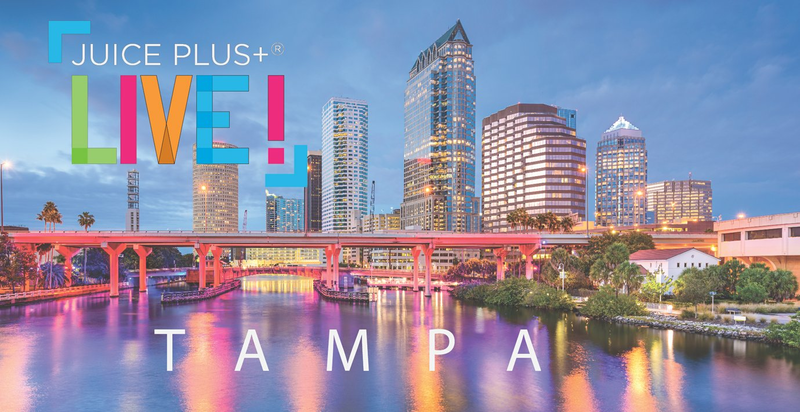 Well, we can think of lots of great reasons for you to pack your bags and meet us in Tampa! The Juice Plus+ LIVE! experience stays with you long after it ends. It is an event that will supercharge your belief in our on going mission to inspire healthy living around the world. During the course of three days you'll gain a wealth of insight that will help you achieve your goals within the Juice Plus+ Virtual Franchise. You'll also be energized by the latest Juice Plus+ developments and success stories. And, if you've reached any milestones in your Juice Plus+ business you'll received special recognition for your accomplishments. It's how we can all applaud your good work. All of the details of Juice Plus+ LIVE! in your pocket.